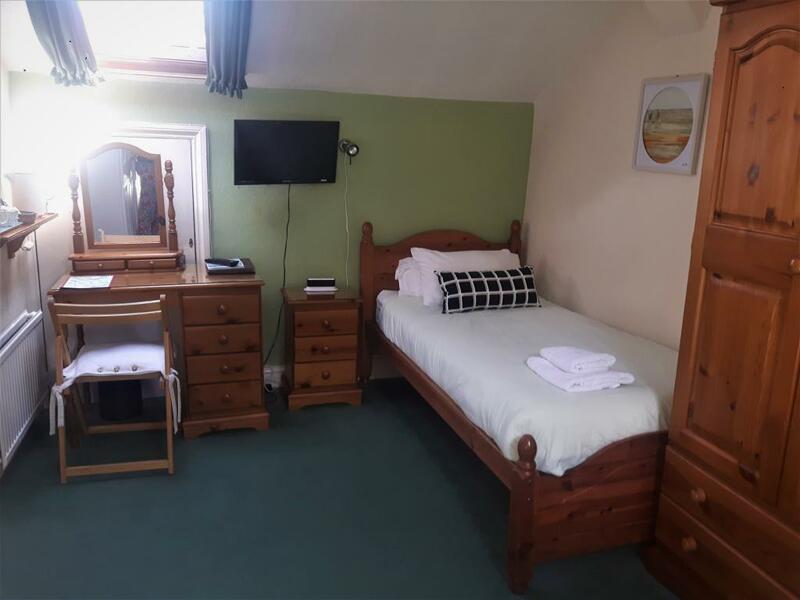 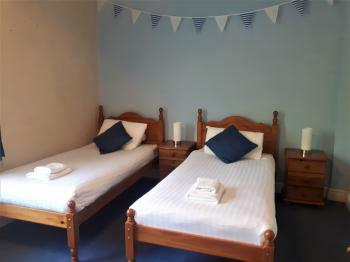 All single en-suites have a comfortable single bed, flat screen TV, wardrobe, desk and tea and coffee making facilities. 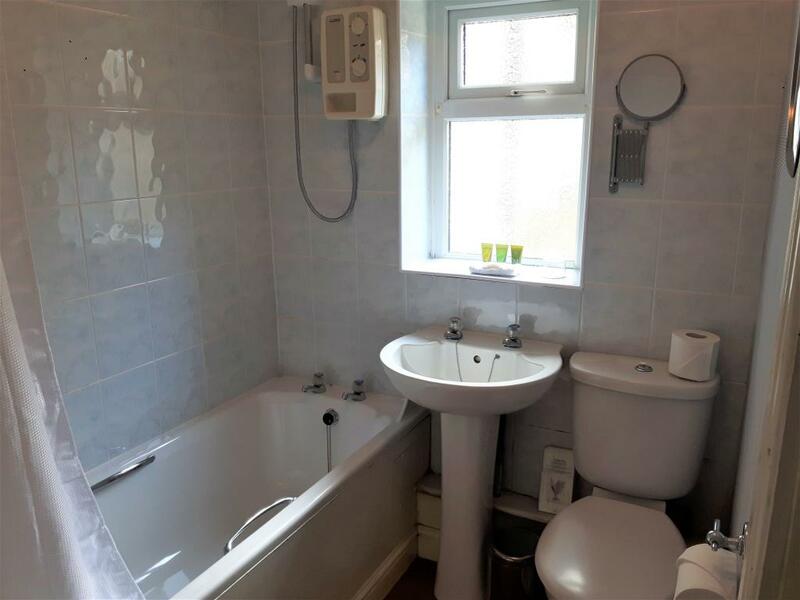 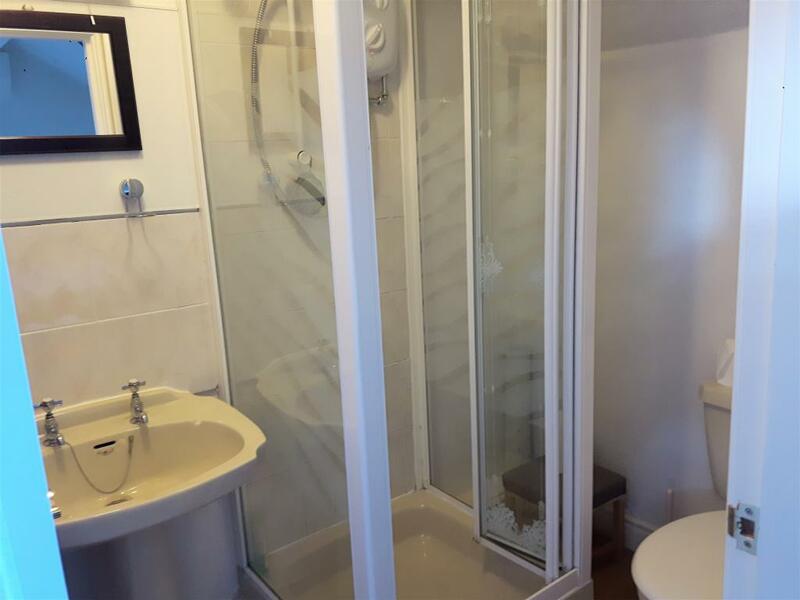 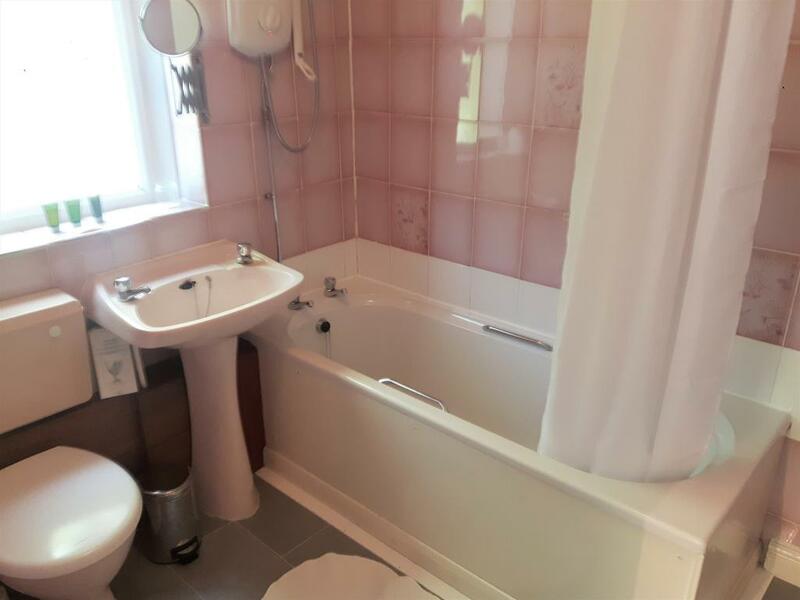 The en-suites have either a shower or a bath with overhead shower. 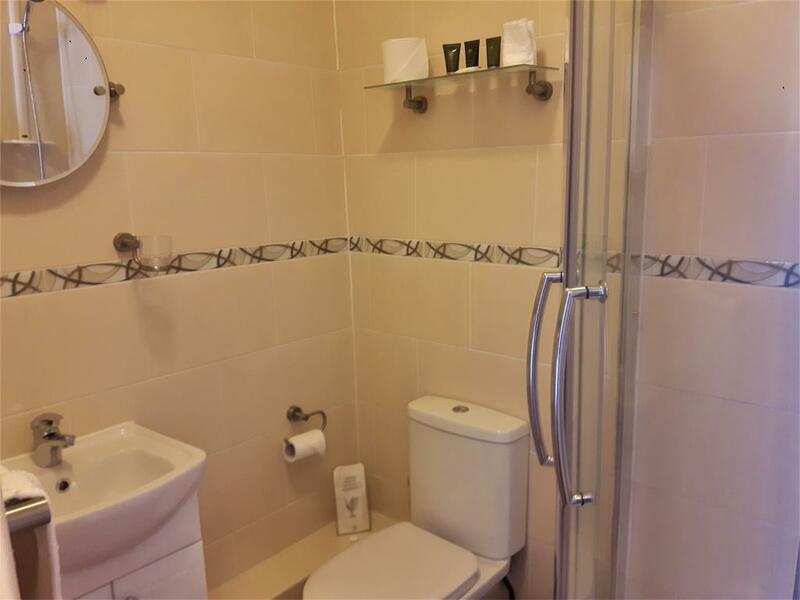 All singles are on the first floor. 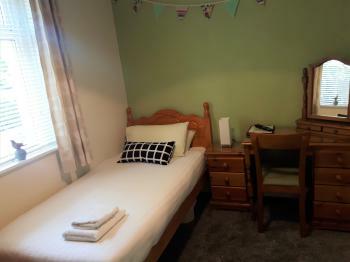 All double en-suites have a comfortable double bed, flat screen TV, wardrobe, desk and tea and coffee making facilities. 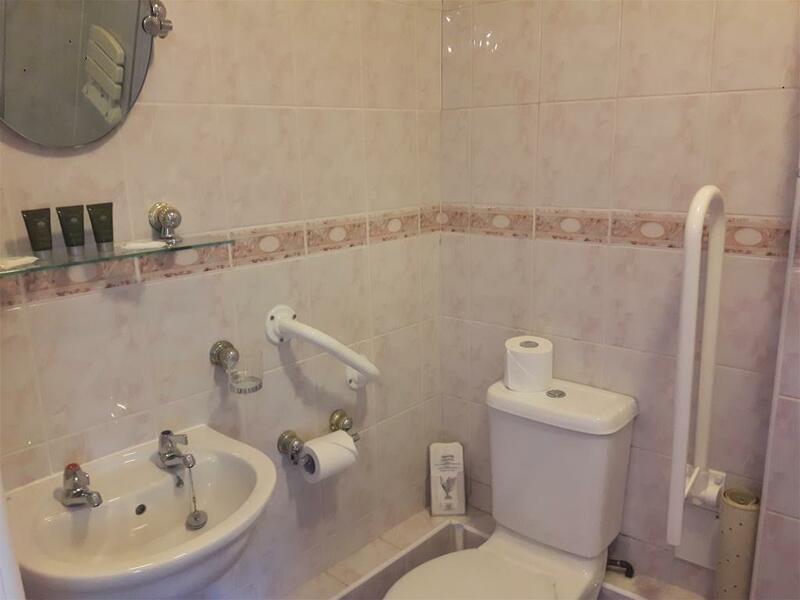 The en-suites have a shower. 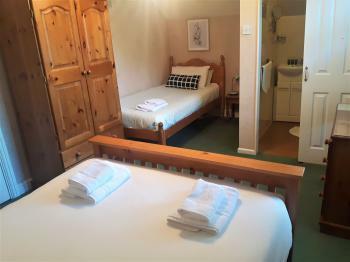 The double rooms are located on either the first or second floor. 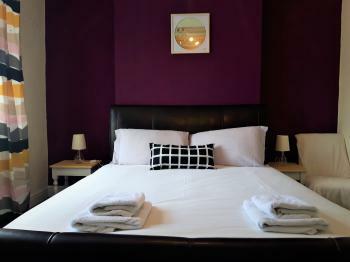 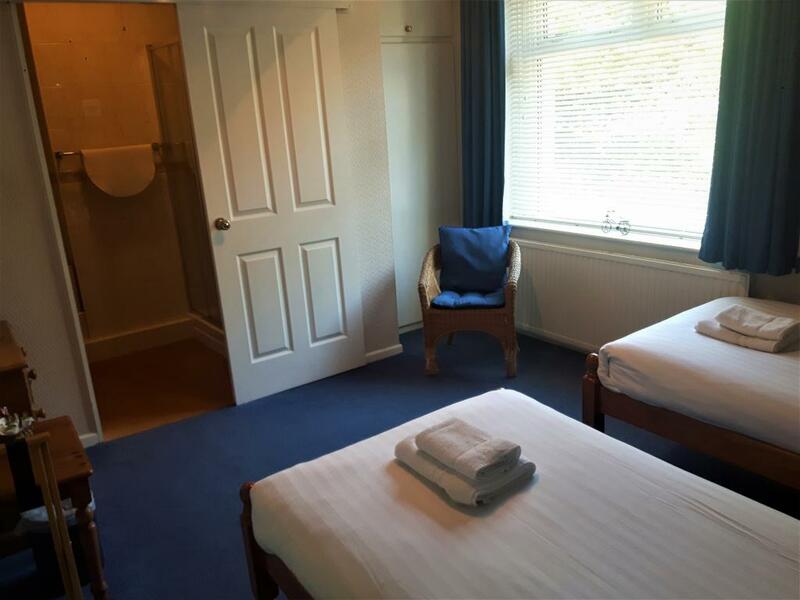 The twin room has two comfortable single beds, flat screen TV, wardrobe, desk and tea and coffee making facilities. 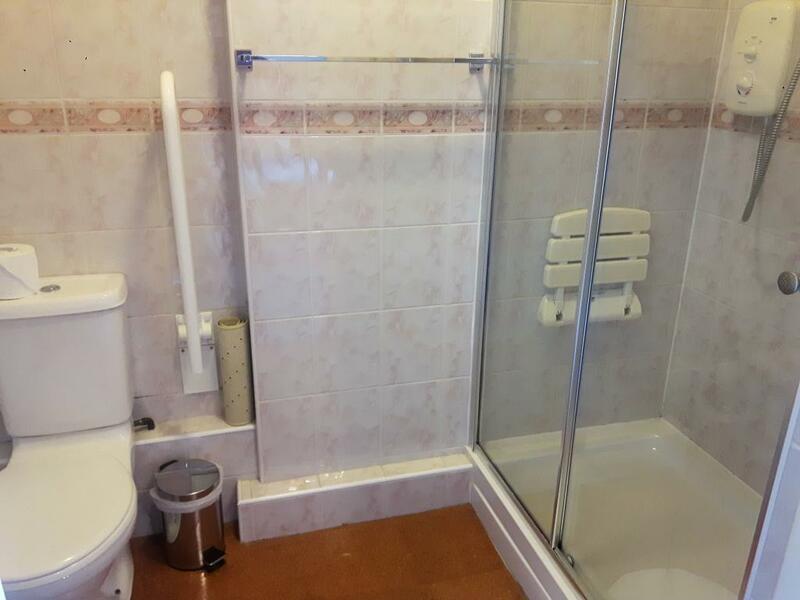 The en-suites has a shower. 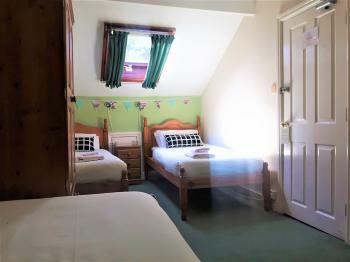 The twin room is located on the first floor. 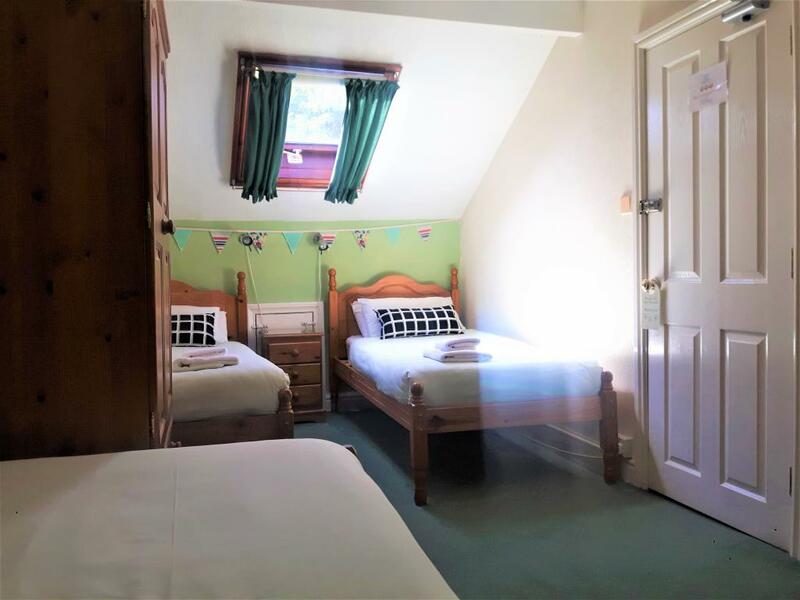 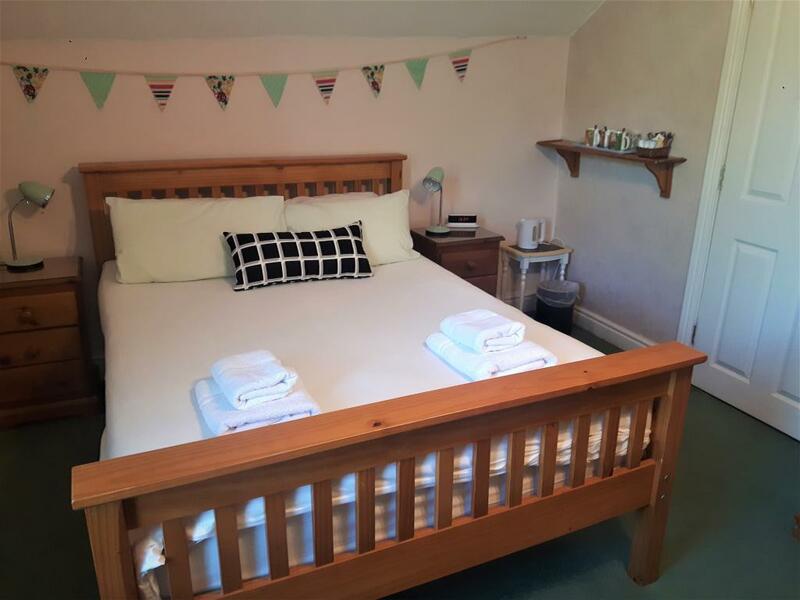 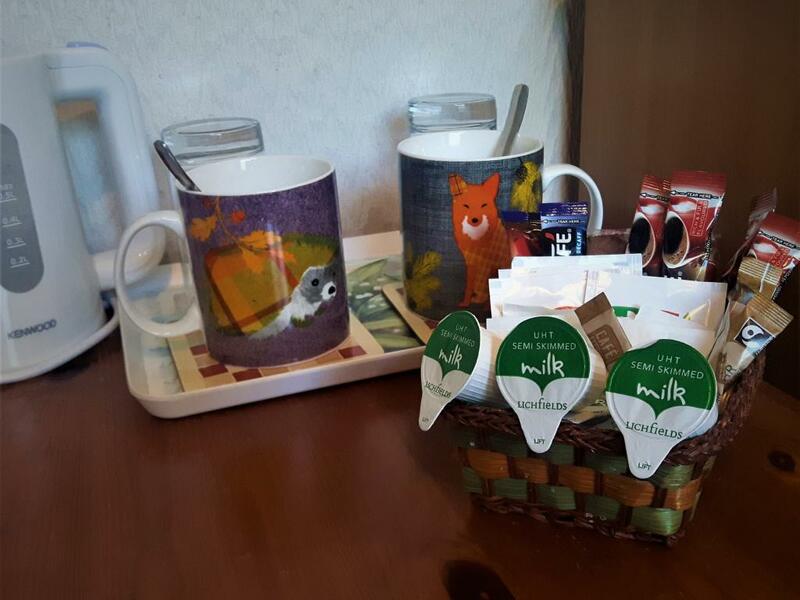 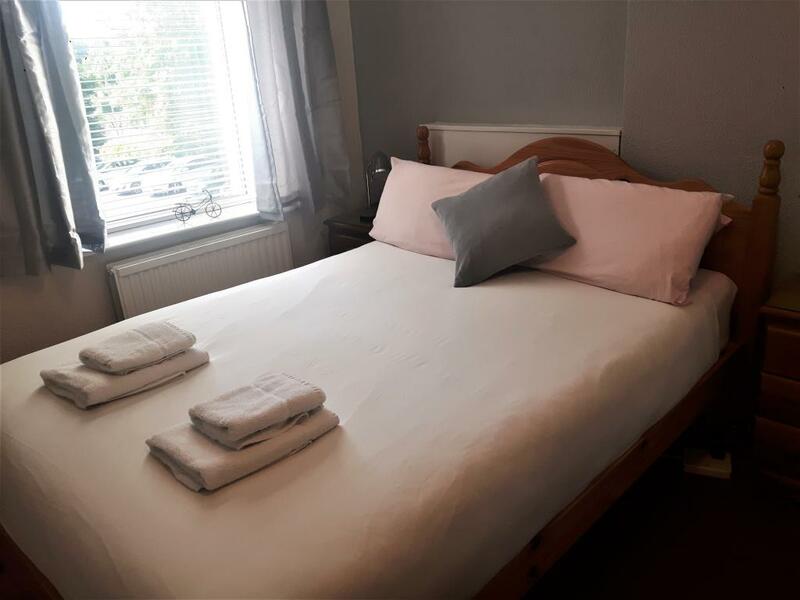 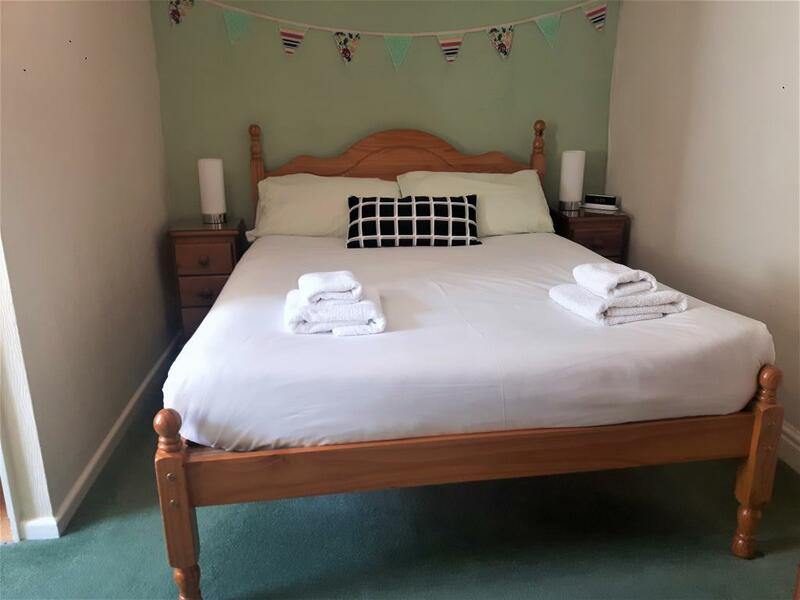 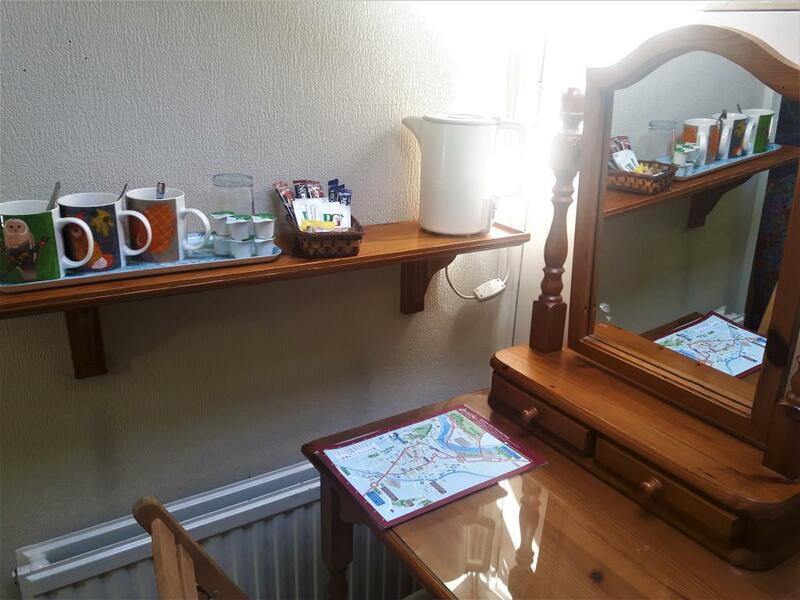 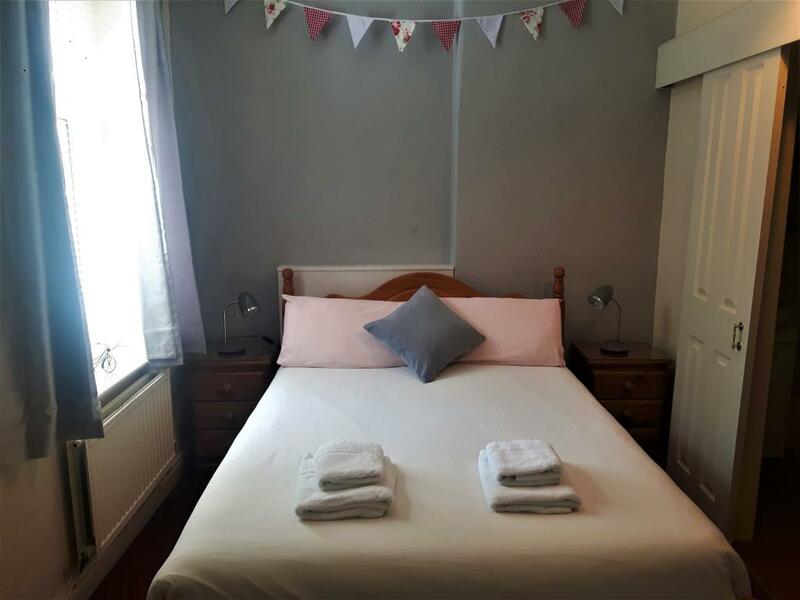 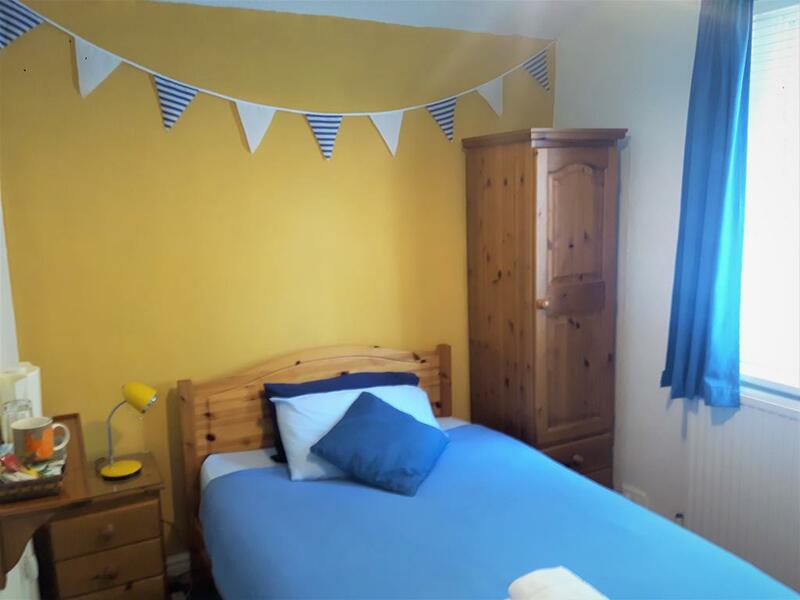 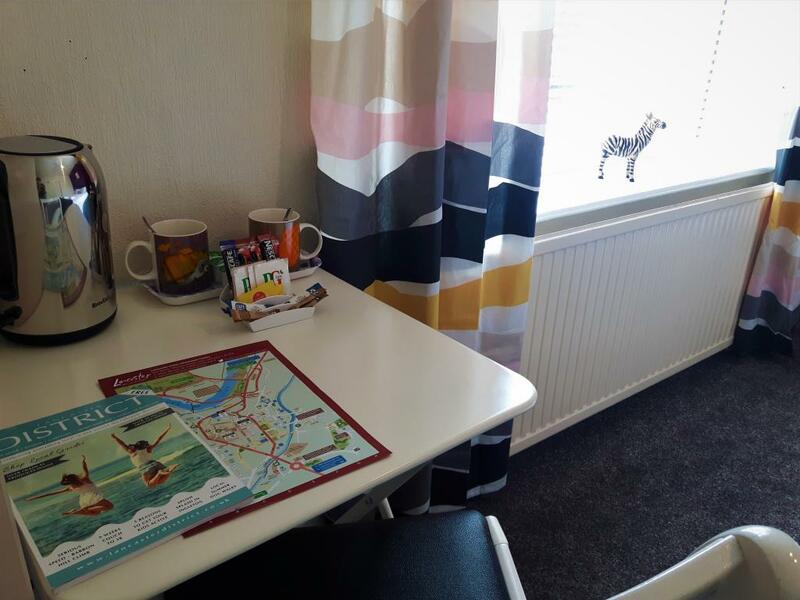 Our triple room has three single beds, a flat screen TV, wardrobe, desk and tea and coffee making facilities. 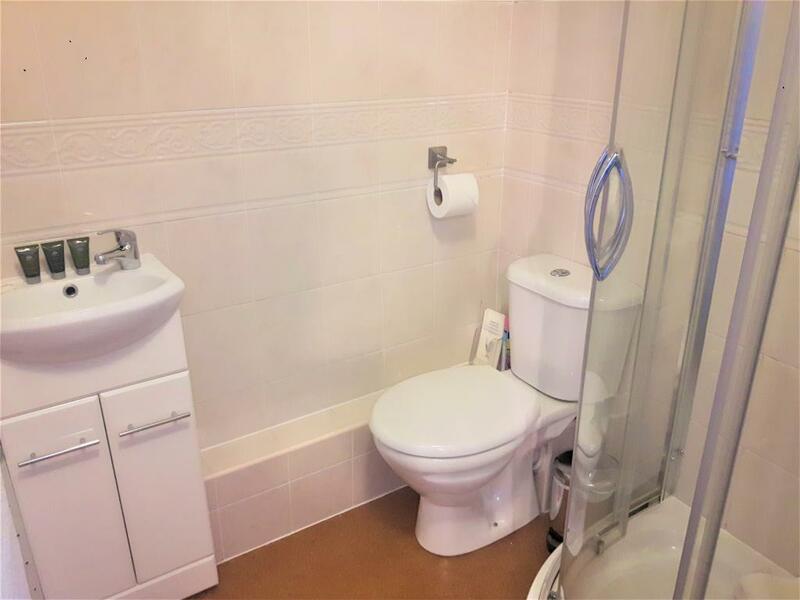 The en-suite has a shower. 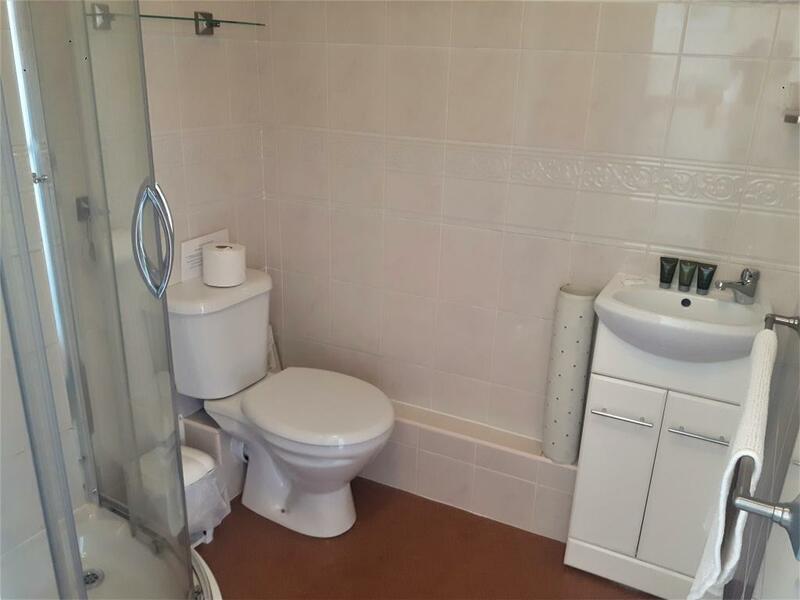 All singles are on the first floor. 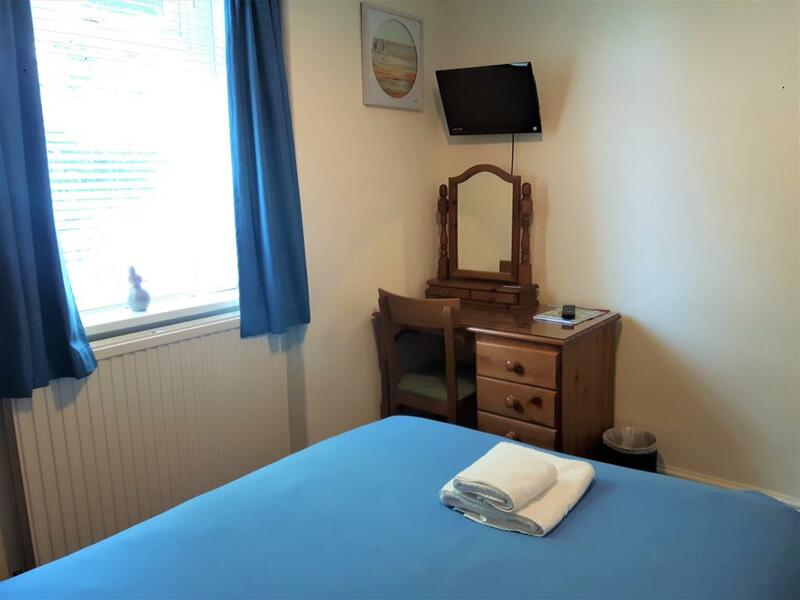 Our family room has a double bed and a single bed, flat screen TV, wardrobe, desk and tea and coffee making facilities. 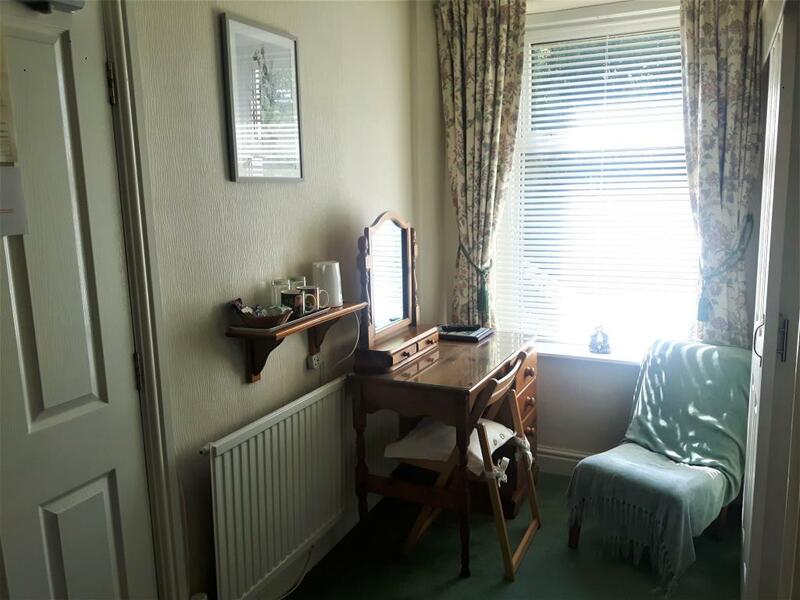 The family room has an en-suite with a shower and is located on the second floor.